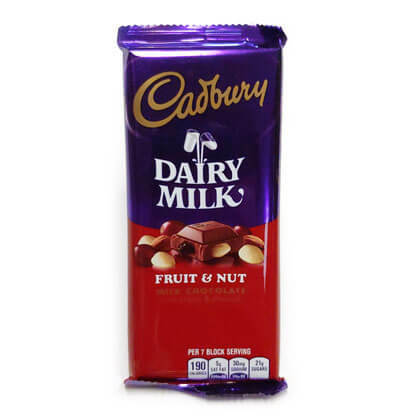 Premium creamy milk chocolate fruit and nut made with Cadbury chocolate. Bar is approx. 6 inches tall and 3 inches wide. 3.5oz bar.